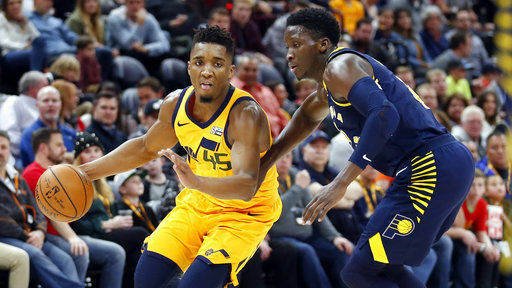 SALT LAKE CITY (AP) — Offense trumped defense on a night when one of the NBA’s most efficient offensive teams met one of the top defensive units. 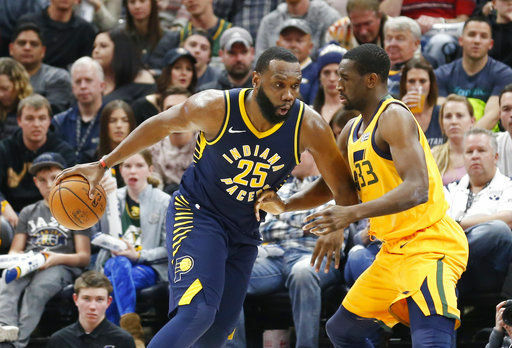 “Execution,” Pacers coach Nate McMillan said. “We talked about establishing our pace, but controlling the tempo. We didn’t want to get in an up-and-down game and allow the crowd to get into the game. Our guys did a nice job of taking opportunities early when we had them. And if we didn’t, we made them defend and were able to execute and score. 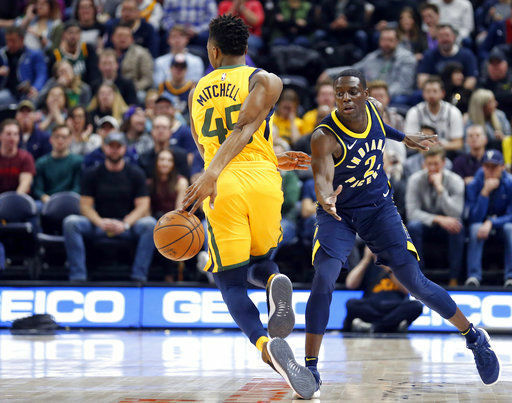 “Guys were getting wide-open shots,” Oladipo said. “Guys shooting the ball with confidence. 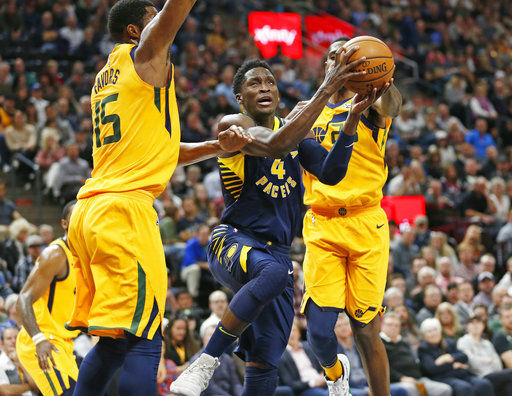 “We’re not playing with a lot of confidence on offense right now, both individually and collectively,” coach Quin Snyder said. “If that’s the case, you can’t force that. You just got to connect even more and, in some respects, it puts more pressure on your offense.